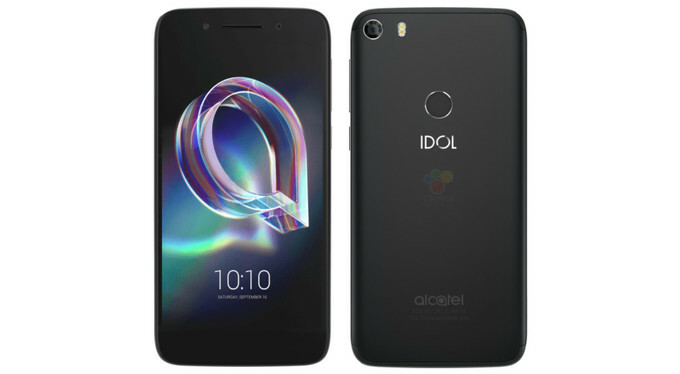 Als Zielgruppe für das Idol 5 hat sich Alcatel die Social Media-Liebhaber ausgesucht und auf der IFA ein Smartphone präsentiert, das die Bedürfnisse der jungen Internet-Generation abdecken soll. Im Detail sieht das folgendermaßen aus: Das Idol 5 besitzt eine brauchbare Kamera mit schnellem Autofokus und einer lichtstarken Blende, die (zumindest in heller Umgebung) gute bis sehr gute Fotos schießt. Alcatel zeigte auf der IFA ganze vier neue Modelle. Rund 250 Euro kostet das Idol 5. Ein fairer Preis, wie wir finden. Viele Software-Extras sind durchdacht, das Display ist gut, die Verarbeitung tadellos. Die Hardware hat allerdings dort und da etwas zu kämpfen. Wer damit leben kann, bekommt ein gelungenes Gerät. The bottom line… I’m paying $35 per month for 5GB of LTE data and unlimited talk and text on Cricket Wireless, which runs on AT&T’s robust network. I simply can’t get over how good the user experience is for the price (both phone and network). I’ll likely run with this setup well into 2018. It’s just the principle of the thing. Alcatel seems to have the mid-range game down and the IDOL 5 continues to show that. For $200 you are getting a smartphone that feels well crafted and not cheap. It has great sounding dual speakers; natural feeling display and quick charging for battery life. It would have been nice to put a fingerprint sensor on their though some phones in its range from Motorola incorporating it into there’s. The VR isn’t a bad add-on for $49.99 if you are curious to get into that arena. For Cricket Wireless list of phones, it wouldn’t be a bad device to pickup out of their lineup. These mid-range Android phones have come a long way and you get a decent experience without all of the frustrations we have seen with them in the past. In the age of $1,000 flagships, it's tough to justify paying five times the price of a solid smartphone that provides a similar application and functional experience. Honestly, it's a tossup because the Idol 5 is indeed VR ready from the get-go, offers an atypical premium design for its category, and customizations to the software that help to make it even more useful than stock. Still, it's not without its faults, as the camera really fails to make an impression. If that's not high on your priority list, then that shouldn't be an issue. But then again, this seems more like another middle-of-the-road option for those on a budget. There's nothing fanciful about it that we haven't seen before. Alcatel's Idol 5 has a lot of good things going for it, and it comes in at a price point that's accessible to a wide array of different people – as long as you're on Cricket. The phone is an exclusive to the AT&T-powered MVNO, and if you're already on the network, it's a great buy. The addition of front-facing speakers and NFC are two items that are rarely seen in this price range, and while I wouldn't necessarily say they're worth leaving your current carrier over, we are really glad to see them present on the Idol 5. 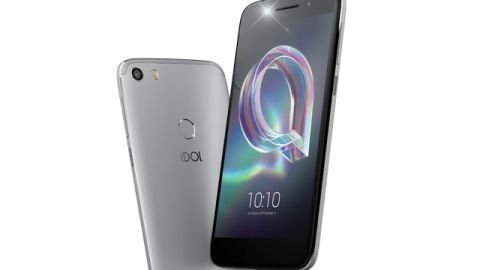 The Idol 5 doesn’t offer anything astonishingly different to other budget handsets in terms of design, but its unique dual social account feature and creative video and photo techniques may help it stand out for the social media minded. Positive: Slim size; light weight; metal case; decent battery capacity; good price. Positive: Nice design; metal case; good display. Negative: Low autonomy. Positive: Good price; elegant design; great built quality; decent cameras.